Photo Courtesy of Red Bull BC One. 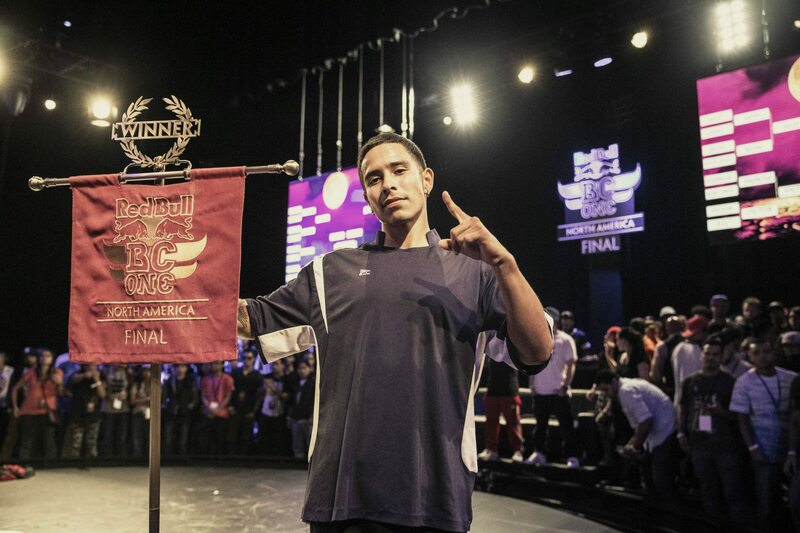 We at The 5th have had the pleasure to interview three time Red Bull BC One North America winner — Bboy Victor. 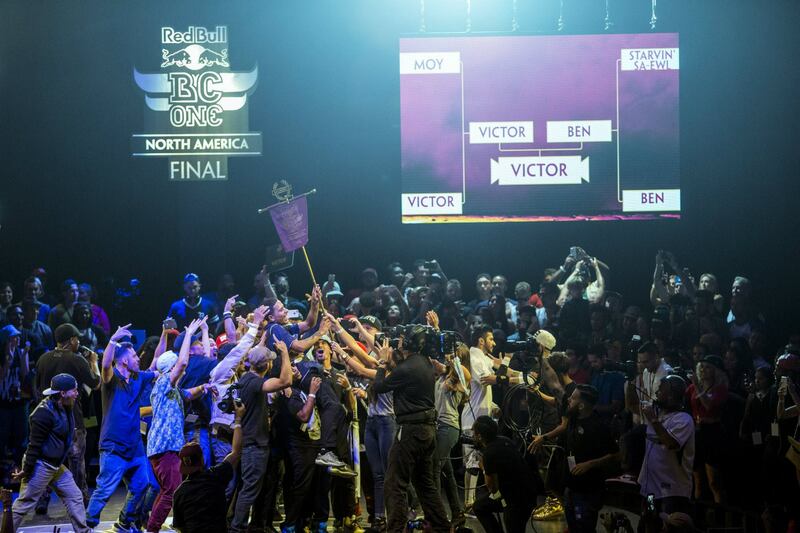 Having taken the win in Las Vegas last year, Bboy Victor went on to win once again in his hometown of Orlando becoming the very first to win Red Bull BC One consecutively. Hit the jump to check out our conversation with him. The one-on-one battle format pitted 16 of the best U.S. and Canadian breakers against each other. Victor pulled out some of the best moves in his repertoire, including backflip flares, backspin airbabies and his completely unique style of form spins. From here, he will be continuing on the road to Rome to battle against the best bboys from Georgia, Egypt, Spain, South Korea and Peru. Victor is hoping that the third time’s the charm for him to capture the elusive and prestigious World Title. The World Finals will be taking place on November 14, 2015, after the rest of the qualifiers are completed. You can view the finals live stream available at RedBullBCOne.com. If you’d like to keep up with the subsequent winners, you can stay informed through the Bull BC One’s Facebook or through their website. See below for what Victor had to say in his interview! T5E: Hey Victor, thanks for allowing us the time the interview you! We at The 5th Element wanted to take the time to congratulate you on winning the North America Final twice! No doubt a lot of skill, passion and dedication must have gone into your wins. For our interview, first and foremost, why don’t you tell us about yourself. What do we and the world at large need to know about you? Victor: What the world needs to know about me is I came out of a small city – Kissimmee, Florida – born and raised. I never left the city. I didn’t fly on a plane until I was 17 and started traveling the whole world. T5E: Then, of course, history is always a priority. What made you want to b-boy? Do you dabble in any other styles? What moves you to — well, move? 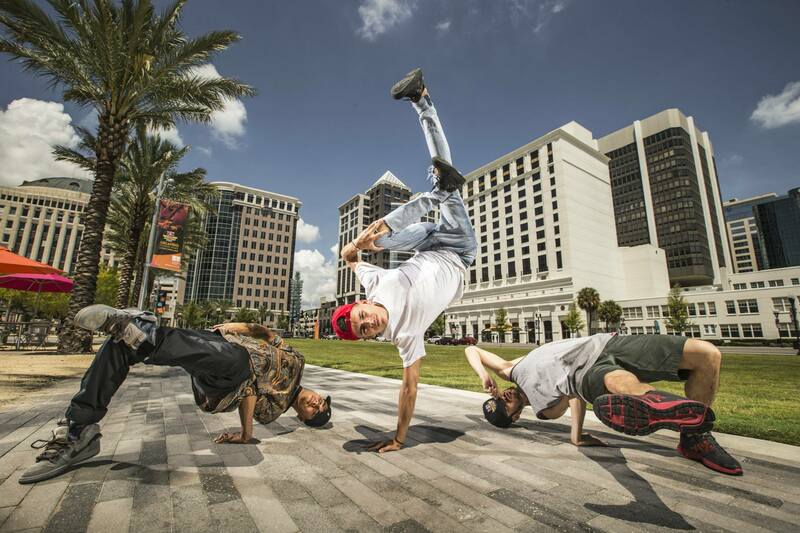 Victor: What made me want to bboy was my dad and his twin brother. They used to be breakers back in Mexico in the early 80s! When I was about six years old, I can remember him teaching me backspins and footwork, putting on the Beat Street movie and just copying them. I don’t do any other styles, but I would really like to learn how to pop — but it’s too difficult, haha. T5E: It’s crazy to think that you’ve won consecutively! Were there any big differences between the atmosphere of the competition this year versus last? Which did you feel more nervous at? Victor: Yeah, I still can’t believe I won. It feels like a dream. This time I didn’t feel good, to be honest, but I pulled through. I was not really nervous — just during the first battle, but I broke (through) it. T5E: Speaking of which, if you won last year, that means you went on to the World Finals last year as well! How was the experience? How far did you get? And, what did you learn from the experience? Victor: Last year I went to the World Finals and the experience was amazing like always! I made it to top 8 last year, but I learned to not slow down. I just gave up the second round because I was happy winning the first. This time I’m going for the win. T5E: How do you intend to prepare for the Finals this year? Will your training and battle preparation be any different? Victor: This year for the World Finals, I’m going to do some intense training for a month. I never trained for a month straight, so it should be fun. I’ll be ready for the Red Bull BC One World Final. Victor: How I train is by being free… having times where I just freestyle, listen to the music and be creative. At the same time, I run two miles every day, eat healthy, drink only water and do intense workouts. T5E: Thanks so much, Victor. And now, we’re going to go ahead and segue into a closer look at you, if you don’t mind. We love good music. Any tracks that hype you up like no other? Victor: One track that hypes me up is Onyx – “Slam”. T5E: Any advice for the up-and-coming bboy or bgirl? Victor: Advice I would give to upcoming bboys/bgirls is to stay humble and realize when you win and when you don’t. There are so many bboys/bgirls who think they win every single battle, have a big ego, and it makes me mad. You win some, you lose some. How you think Muhammad Ali got better? Or a famous skateboarder? Or anybody — even me? It’s because I lost so many times and I realized it. It pushed me to beat the other opponent, to train harder. Another thing is, be yourself. And go look for knowledge! Learn about the culture, the OGs! They are still alive to tell you stories that are amazing. That’s how I got better and my dancing as well. Stop biting, be yourself. Why would you want to be someone else when you can be your own self, your own cool character nobody else has seen? T5E: How does breaking fit into your life? Is there ever conflict between the real world and the dance world for you? If so, any advice on how to balance the two? Victor: Breaking fits into my life perfectly. I feel like it was meant for me. Ever since I started, I couldn’t stop. I just loved doing it, and I love getting better and better at it. I have no conflicts with the real world and the dance world. The dance world IS the real world for me, haha. T5E: And because we, at The 5th Element, are so big on hip-hop, tell us, as a way to end our session, how do YOU define hip-hop? Victor: How I define hip-hop is one big party with positive energy, getting funky and having fun dancing, having all four elements in one building bugging out. Meeting new friends. Hip-hop goes on and on. Hip-hop is us.